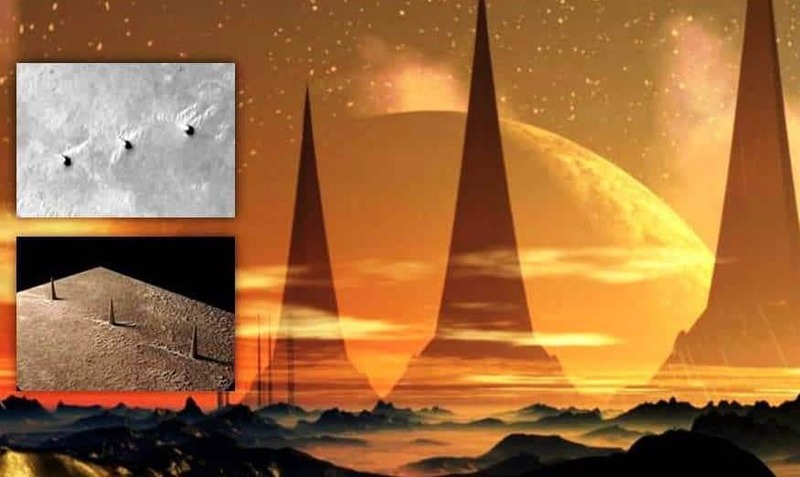 Home » NASA censors Images of artificial “TOWERS” Visible in the Meridiani land area on Mars !! Mars is full of surprises and our understanding of this mysterious world grows every day with the help of interesting discoveries like the following. Three artificial towers on Mars would be just another addition to the long list of puzzles that get sand in our planetary neighbor. The three towers are present in a video sent by YouTube’s world-wide channel and analyzed by researcher José Luis Camacho. We strongly recommend that you turn on captions and take a look at them. But hurry up, because these controversial discoveries tend to be quickly censored. But before you see the video below, let’s see what it is. In a recent survey of Mars images taken from the Mars Global Surveyor spacecraft, which was able to map the surface of Mars from 1997 to 2006, before finally losing contact with NASA-JPL of Pasadena, find anomalies. In one of the NASA images, strangely it is no longer available ( http://www.msss.com/moc_gallery/ab1_m04/images/M0001661.html ) comes precisely from the MGS (Mars Global Surveyor) probe, one can observe unknown mysterious source structures. This time, the unknown structures are different from the others. What was found in the Mars area called “Terra Meridiani,” is something incredible, that is, a series of huge towers for its peculiar characteristics, seems to be of apparent artificial origin. The Martian towers should have an estimated height of about 1000-1500 meters. It was precisely the researcher José Luis Camacho who discovered the enormous towers on the Martian surface. As mentioned above, each of the three towers is almost a mile high. This would be a very impressive architectural endeavor considering that the tallest building on Earth is only half that size. Google used Mars Global Surveyor (MGS) data and its photo tool. The specific image showing the towers was captured in 1999, much of which could have changed in the almost two decades since then. The Martian towers are located in a region known as Terra Meridiani and coincidentally or not, this exact region was chosen as the landing point for the NASA Rover Curiosity. But when the stakes are so high, there is no room for coincidence. Just imagine the vehicle leaving traces at the base of these towers or the knowledge that could be gained if a manned mission had a chance to explore whatever towers were called. The position of the towers seems to have been chosen specifically by their equatorial position. It is obvious that the ancient Martians could also count on solar energy, even if they were further from the Sun. And what better place to get the sun than the equator? Beyond the surrounding plains, the towers seem to have stood the test of time. This may be considered a testament to the competence of its builders or may even mean that the towers are still in use. It is useless to erect something as majestic as these Martian skyscrapers and then abandon them. If there is still someone on Mars, this is one of the definitive tests and it is no coincidence that NASA has made the images of this area disappear, precisely where the Mars Towers are visible.